With her birthday coming up, Jessica hopes that, just maybe, her present will be a real-live potbellied pig. Jessica can hardly wait for her party with Judy Moody and all their friends. But Judy Moody is acting like a pig-head, and Jessica UN-invites her from the party. To make matters worse, Jessica has snooped around the house and has found zero sign of a pig present. Could her birthday be any more of a disaster? 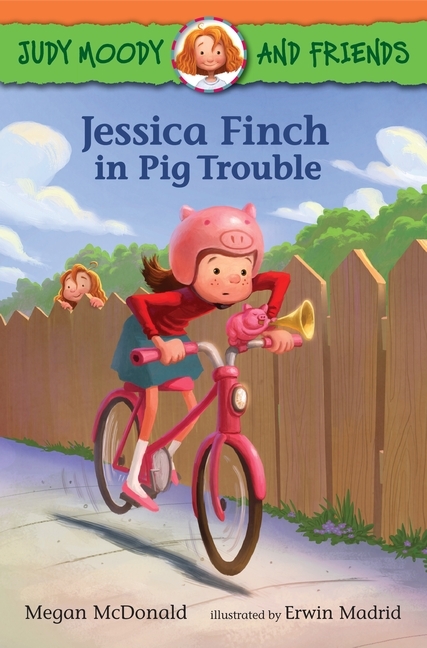 Geared to newly independent readers, this story will have Judy Moody fans in pig heaven.